An absolutely beautiful, massive park that is sprawling with lush green grass and has dozens upon dozens of adorable puppers running around. There are so many spots within the park to snap a cute photo- at a cafe in the park, peering over a bridge, Kensington Palace (where Harry + Meghan live! ), a picnic in the grass, playing with the leash-free dogs, or on a bench enjoying an ice cream! Explore the park, have fun, and capture it all with a photo. This stunning hotel is located just around the corner from the well-known King’s Cross Station. The architecture of this building is what makes stopping to grab a picture so worth it. With the red brick, light blue roofs, and the 269 ft. clock tower as a background, you’re going to look like the ultimate world traveler. Not only is this a must visit spot to take an amazing photo, it’s a must do activity when in London. 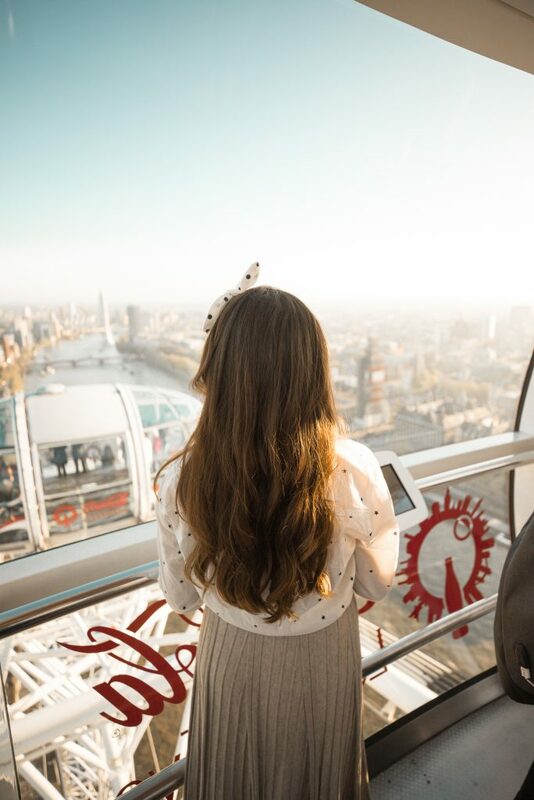 The London Eye is massive ferris wheel that overlooks the entire city. The view from the top is absolutely breathtaking and you can see all the sights for miles. Grabbing a photo with the red phone is essential! The spot I took this photo was around the corner from Parliament Square, on the corner of Great George St. and Parliament St. This spot was so great to take a photo because it’s a little bit away from the touristy foot traffic, so there weren’t any lines to take a photo and we were able to spend about 15 minutes taking photos. This picture is my favorite, favorite, favorite photo that we took from the whole trip. I think it turned out so gorgeous- the lighting was perfect, my outfit was cute, and the bridge just looked so beautiful. There’s also a really funny story behind the journey to take this picture that you guys will find out about in my London vlog part two. 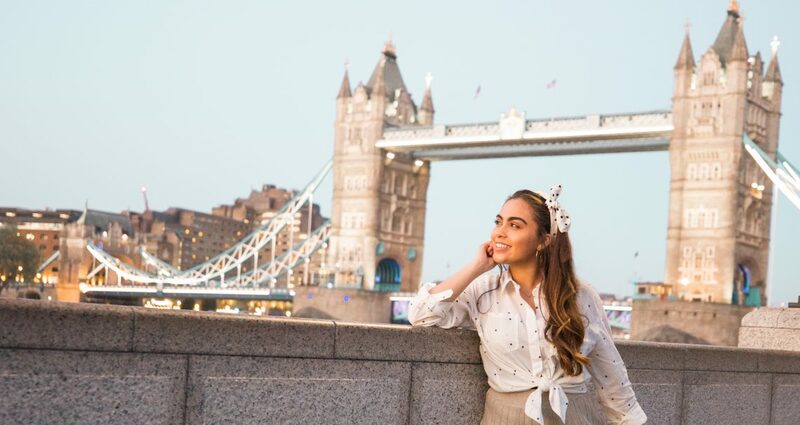 Getting a photo with Tower Bridge is seriously a must. 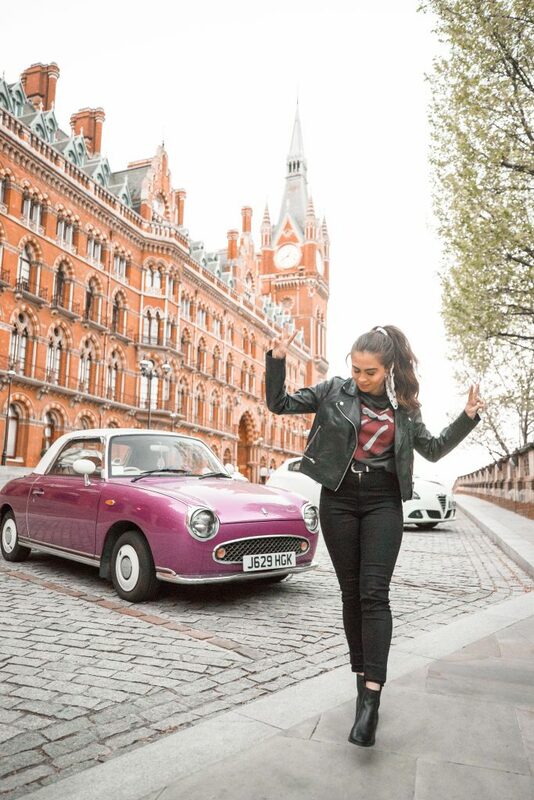 If you guys travel to London and stop by any of these places to snap a photo, please tag me! I would love to see your photos! 🙂 London has been one of our favorite places to visit and if you’re considering visiting, I highly recommend it. So wonderful. 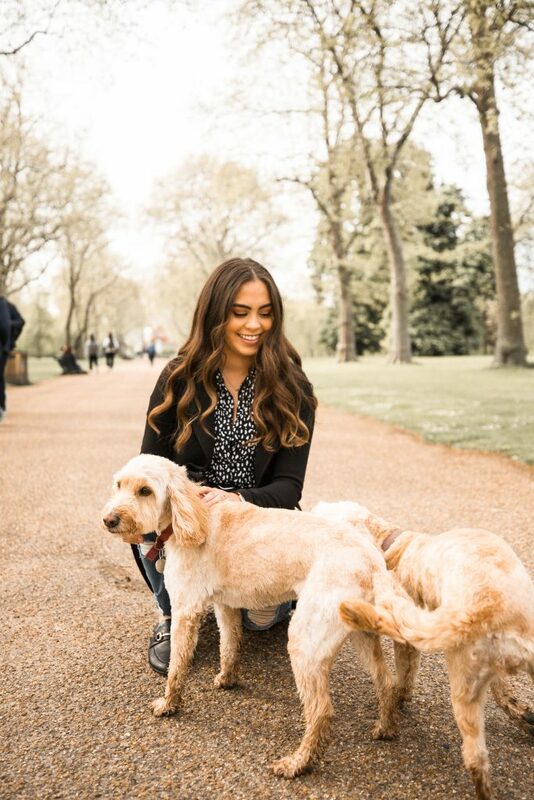 If you’d like to watch my London vlog part one, click here! Have an amazing rest of your day babes!